In persuasive style, Brennan and Buchanan argue that too often economists become mired in explaining the obvious or constructing elaborate mathematical models to shed light on trivial phenomena. Their solution: economics as a discipline would be better focused on deriving normative procedures for establishing rules so that ordinary economic life can proceed unaffected as much as possible by social issues. 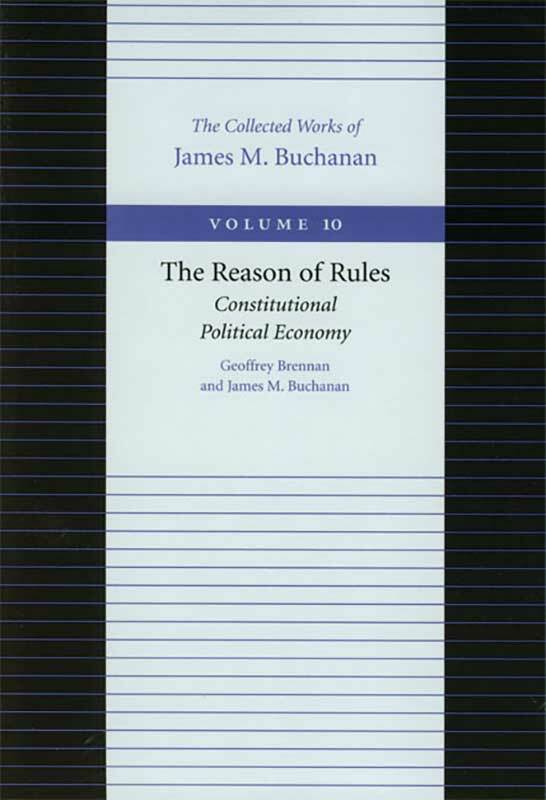 The basic idea of the importance of rules is a thread that runs through virtually the whole of Buchanan’s distinguished career, and it is one of his signal contributions to the contemporary discipline of economics. The Reason of Rules is an elaboration of the potential for rules and the normative process by which they can best be devised.